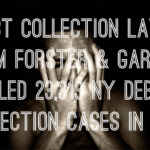 You Filed an Answer in Your New York Debt Collection Case, Now What Happens? 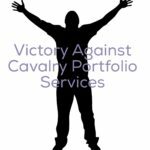 You’ve were served was a summons and complaint in a New York Debt Collection case. You timely filed your answer to the lawsuit and are wondering what will happen next? When you appear in a lawsuit without an attorney you are referred to as “pro se” and your answer to the lawsuit is referred to as a “pro se answer”. What happens after a pro se answer is filed depends largely on the court where the case is pending. If the case is in any of the Supreme Courts (each county in New York State has a supreme court), nothing will happen until one of the parties asks for something to happen. If a judge is needed to resolve an issue between the parties, the aggrieved party will have to request for the appointment of a judge. Once that happens, a preliminary conference will be ordered at which time a scheduling order will be entered. The scheduling order establishes deadlines for the exchange of documents and the conducting of depositions – a process known as Discovery. Once discovery is complete, the parties must advise the court that they are ready for trial – this is done by the filing of a document called a “note of issue”. Periodically, the court will schedule compliance conferences to ensure that the parties are complying with the scheduling order. At each conference, the parties may be encouraged by the court to explore whether a settlement can be had. 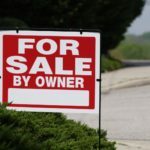 If no settlement is reached, the parties may make a motion for summary judgment. 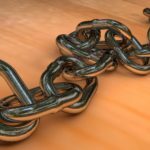 A motion for summary judgment is based upon a claim by one or both parties arguing that all necessary factual issues are agreed upon so no trial is necessary and the moving party should be win automatically. 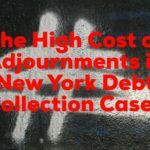 In the five boroughs of New York City, most debt collection cases are heard in the Civil Court (each borough has its own). In the Civil Court of the City of New York, once a pro se answer is filed, a pro se defendant will receive a post card in the mail from the court notifying of the date and location of a scheduled court appearance. The purpose of this initial court appearance is to see of the parties can reach a settlement. If not, the court will then schedule a trial date. At any time before trial, either party may make a motion for summary judgment. It is standard operating procedure for a debt collector to move for summary judgment before going to trial. Unfortunately, it happens all too often that a pro se defendant files an answer but then fails to appear at a scheduled court appearance. 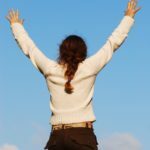 In such an instance, the debt collector may win the case by default without ever having to prove its case. 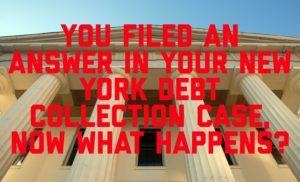 If you are representing yourself in a New York debt collection lawsuit, make sure you understand the process and the purpose of each court appearance. If you are unclear what you are supposed to do, call the clerk’s office and get as much information as you can about the court’s procedures. Whatever you do, do not miss a court date. If you do, you may lose your case by default and deliver an unearned victory to the debt collector. If you’ve been sued in a debt collection lawsuit, consider whether hiring an attorney to defend you makes sense. If you need help settling or defending a debt collection law suit, stopping harassing debt collectors or suing a debt collector, contact us today to see what we can do for you. With office located in the Bronx, Brooklyn and Rockland County, the Law Offices of Robert J. Nahoum defends consumers in debt collection cases throughout the Tristate area including New Jersey. 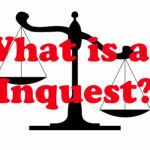 What is an Inquest in a New York Debt Collection Case? 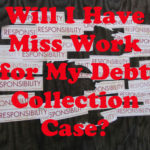 Will I Have Miss Work for My Debt Collection Case? 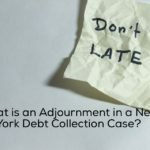 What is an Adjournment in a New York Debt Collection Case?